How do I copy cases to my Android phone or tablet? With the Case Sharing option, using an SD card to copy the file. You copy cases to and from your Android device using the Case Sharing option of Complete Dynamics. This option is described in the Help System, under Case Module -> Case Sharing. On your PC, you first create a case export. 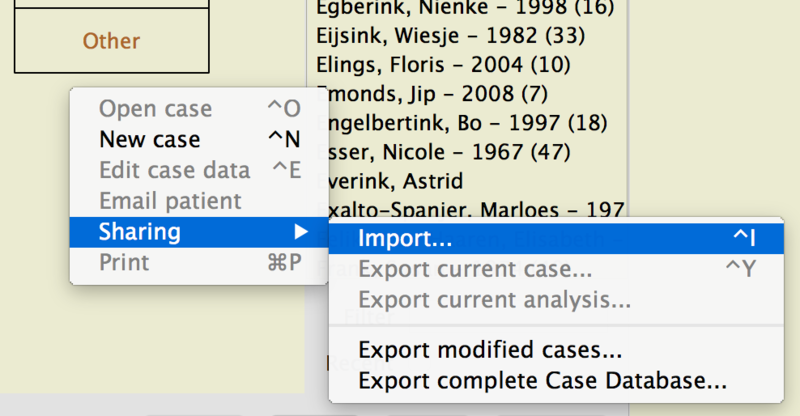 The first time you should export the complete Case Database, later you will export only modified cases. To copy the files to your Android device, copy the file to an SC card, and insert the card into your Android device. On your Android device, you can now Import the file. Click and hold at the left side of the screen, in the Case module. And select the file on your SD card.